Following the warning by the Presidency against the initial plot by the Adams Oshiomole led Administration to deal decisively byexpelling some recalcitrant governors of the APC from the Party, the Chairmanand some cliques in the Party has devised another way to deal with the problemsof the governor in a more docile but highly effective manner. Daily Watch investigations confirmed that the recent dissolution of the APC Exco in the states of Imo and Ogun state is among thethree prong approach decided upon by the Cabal, the Presidency and the APCChairman to finally nail and deal with the Imo and Ogun state governors withoutopenly suspending or giving them room to move to another platform after the dayto change candidates elapsed. Daily Watch Sources has it that the dissolution of the state’s APC executive in the two states is simply to first demystify the two errant governors of their control of the Party in their respectivestates so as to first neutralize their foundations as the Chairmen of the Partyin their state are holding their allegiance to the Governors who helped thenclimbed to the Positions as such bonding with the Governors in their support ofcandidates who are not of the APC in the Governorship elections. The game plot of the Cabal and Oshiomole is to finally nailed governor Okorocha and Ibikunle Amosun by pulling the rug of their feet without noise and in one stroke make them empty of the support they have. By the Dissolution of the APC structures, the two states would now have a caretaker APC Chairman and executive who would now speak and work for the APC Candidates in Imo and Ogun state and by so whittle down the so called powers and support the Party Structures seemed to be lending to the two governors in what the Party called the traitorous acts against the Party. By this action, the two governor would have no APC structures to address APC Supporters any more as such Powers would now reside with the care taker Committee and the governor left with his Political appointees to fight for their so called Governorship candidates in other Party than the APC and also make it possible to hit them back in their own coin by using the care taker executive to work against their Senatorial ambition just as they are working against the Party’s governorship candidates. Daily Watch attempts to get the reactions of the two governors with this unique master stroke from their Party the APC to finally nail and frustrate them without making noise was not possible as at Press time but Daily Watch Sources Confirmed that the Ousted or dissolved Structures Chairmen in the two state are plotting to head to court on the instructions of the two Governors to fight their battle, but when will the result of such case end? Certainly just as predicted by the APC Chairman in carrying out the dissolution, Just after the said Elections must have come and gone and the essence of the dissolution achieved. *As Presidency insist on the removal of Saraki using whatever methodology Possible. Just when every Nigerian thought the Plot to edge out the Senate President and His House of Representative partner has finally been accepted as an impossible task that would end in a charade, the Presidency and the APC Chairman seemed to be thinking otherwise as a meet as held recently in the Villa recently. Daily Watch Villa Sources has it that the Presidency seemed to still be very uncomfortable with Bukola Saraki and Speaker Dogarasitting as heads of the two Houses that makes up the National Assembly after dishing the APC for the PDP and as such has again mobilized the APC Chairmanand several off his foot Soldiers in the National Assembly to resuscitate theonce moribund plot to edge out the National Assembly leadership. Daily Watch Sources in the Villa has it that the President is said to be serious angry that Saraki seats as Senate President and APC led Government and pouring scorn and tirades at the Buhari’s administration which the Presidency see as wholly insulting and intolerable and need urgent reactions and attention. Immediately the APC Chairman who was said to be atthe Meet was mandated to again mobilized with the heads of all the Security personnel for the removal of the duo in the National Assembly using whatevermethodology and no matter the cost in money. Already, the APC Chairman is said to have held three meets in less than two days with the Inspector General of Police and the new DSS boss on the issue just as he had done with some key caucus of the APC in the House on the need to use every method to get the required numbers present in the House to get their two third and get Saraki Packing even if the court may belatedly declare it as illegal but that would be after events of elections most have overtaken such judgments. 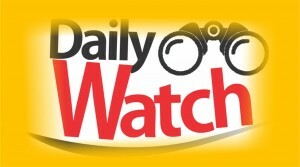 Daily Watch has it that several PDP Senators are said to be conversant with the nefarious plot and are said together with the Senate President to be alert and watchful on how the APC would go about the plot which has received several Millions of Budget from the President. Attempts to Speak with Senator Saraki and the Spokes person of the DSS Peter Afunnaya or spoke person of Oshiomole Simeon Ebegbulen on the resurgent plot to hit Senate President Saraki was not possible as at press time. Previous articleIs Simi and Adekunle Gold bent on shocking Nigerians?